A quartz countertop can fit in nearly any domestic environment. It has an almost uncanny ability to blend with its surroundings. 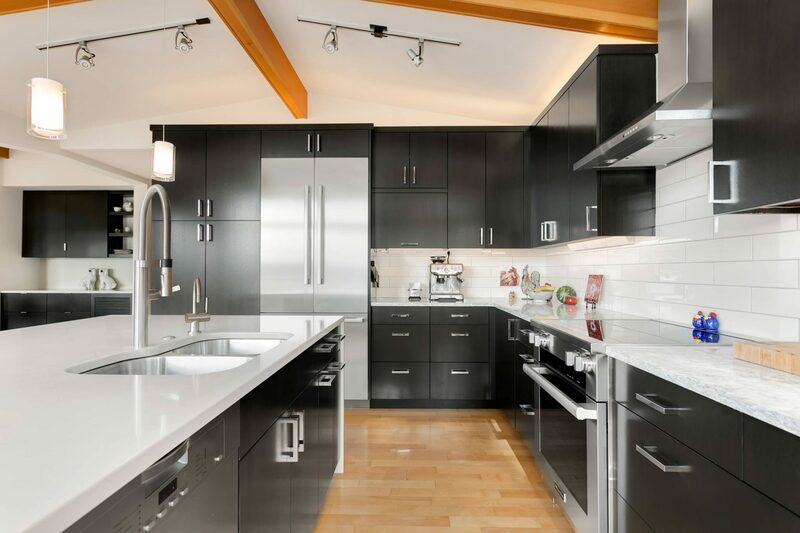 If you have a kitchen of modern or traditional design, or you prefer a polished counter that has a unique pattern, you’ll find a quartz material that closely meets your demands. It is engineered to be easy to care for and it is nontoxic and non-allergenic. 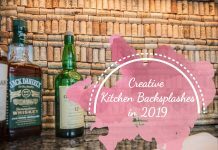 It’s the ideal countertop substance for every kitchen. Almost unbelievably, quartz is actually man made, a product that is formed from approximately ninety to ninety-five percent ground quartz and five to ten percent resins and pigments. Combined, they compose the product offered by such brands as Technistone, Silestone, Zodiaq, Q, Cambric., HanStone and Caesarstone. There are even manufacturers so prolific they offer up to forty varieties of quartz, where you’ll find an array of options, such as earth tones or bright colors and a wide selection of magical patterns. 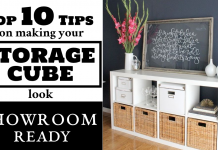 Typically, depending on the brand, you would be looking at roughly $95 to $105 per square foot. This general estimate includes installation! 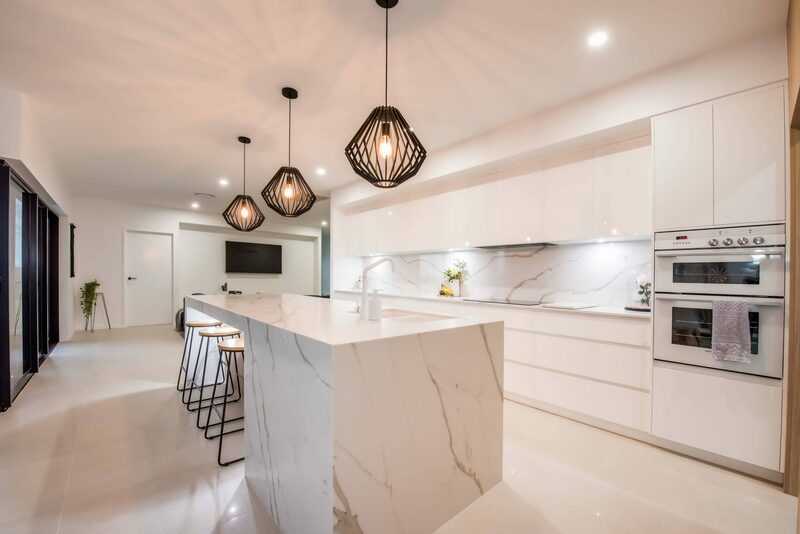 Beyond its desirable price point and physical beauty, there are a number of other traits that factor in favor of quartz products. Thanks to the actual content of the material in question, it is just as durable as its tough-as-nails rivalry in granite. The added component of resin in quartz products contributes greatly to shock resistance and overall malleability. 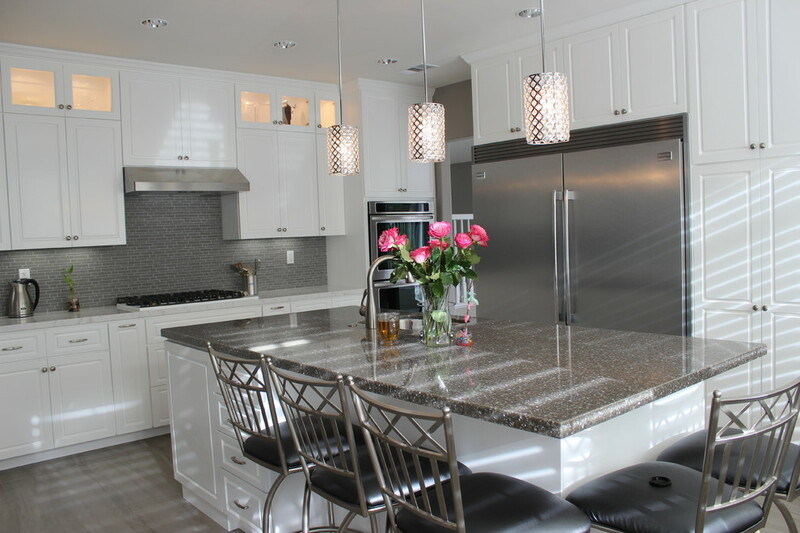 The material is also scratch and stain resistant, as engineered quartz is in fact non-porous. When considering everything it takes for large installations, it has the advantage over natural stone. Quartz is able to flex, allowing it to be engineered to produce larger pieces with less joints. It should be noted that while quartz products are heat resistant they are not entirely heat proof. Naturally it might be in your interest to check with the manufacturer to learn exactly how high of a temperature the countertop can endure. For the ‘Green’ set, there’s plenty to be satisfied with. Quartz products are proven to be eco-friendly. They are great for air quality indoors because the amounts of volatile organic compounds (VOC’s) that get emitted are nominal and, as stated previously, the material itself is nontoxic and non-allergenic, affecting neither humans nor animals. In fact, the agency responsible for verification of low chemical emission claims, the Green Guard Environmental Institute, certifies an abundance of quartz products. It is noted that quartz has a positive environmental influence because it is so lasting – it can be used for decades. Plus, many of its varieties are manufactured to include recycled content. But since the resins incorporated with quartz are of a petroleum base, and the fact that the majority of mines and manufacturers are actually not in the United States, transportation related expenses are increased. That may be considered a downside when it comes to eco considerations. 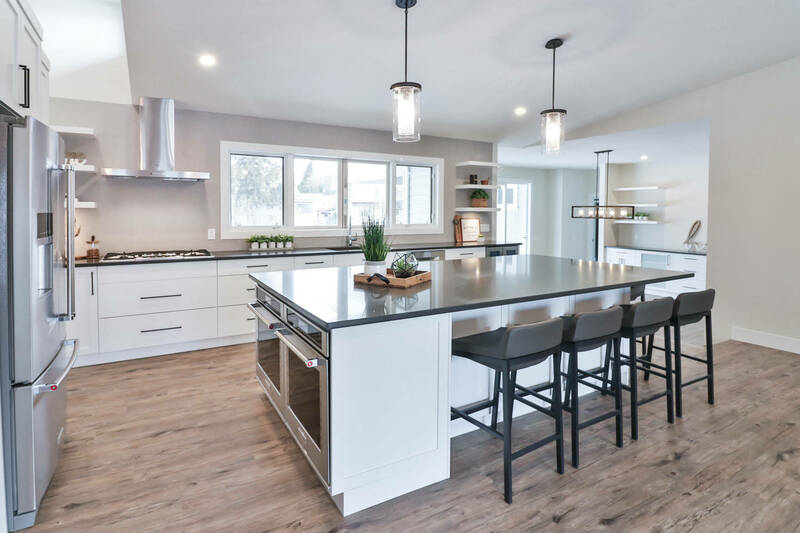 The manufacturer known as Cambria, however, does actually mine and produce its quartz countertops entirely in the U.S.
And the surface of the typical quartz countertop needs no sealants or waxes. That’s not an issue that anyone ever need be concerned with, however. Simple soap and water is all that is necessary to keep the countertop clean. Sure, honed finishes popular with dark colors will ‘show’ fingerprints easily, but all it takes is a swipe with a dry or damp cloth and they’re gone. 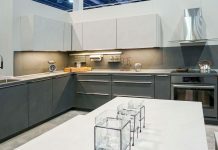 A perfect material for nearly any kitchen, homeowners enjoy the beauty and durability of quartz, in any of its many configurations.